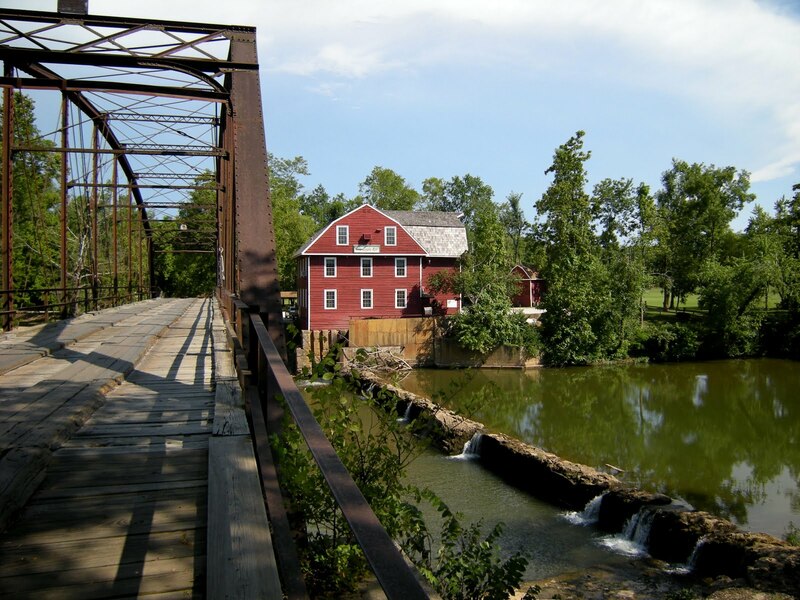 War Eagle Mill has operated in several different forms over the past 170 years. Hard to beat its longtime efforts to be green, organic, and local. The drive up to War Eagle is not one you take quickly. You might shave off a little time by hitching part of your ride on the interstate, but no matter where you come from, you end up on windy scenic two lane roads with miles of sky and fields (full of livestock and hay) aplenty. 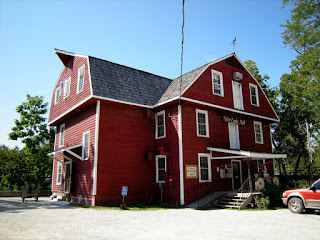 with the red of farm buildings and the far off site of a three story structure. That is your destination, that there yonder. You snake down the side of the hill, roll out into a field, and wonder at the sign that states “War Eagle Craft Mill, next 10 exits.” Exits? You’re in a cow field, for heaven’s sake! Roll right with the road, down past a couple of barn-type buildings on the right and a couple of houses on the left, and then you’re at the bridge. The bridge at War Eagle is nothing to sneeze at. It’s a 101 year old wood and steel framed monument to time, arching its single lane out over the greenish river below just down from the water break, coming to a landing beside the big red building you saw a mile back from on high. 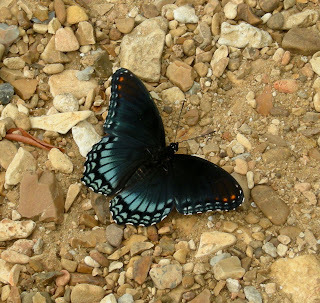 You have to slow down, to make sure no one’s coming from the other side, before you ease on over and back onto the security of the gravel. You have arrived at War Eagle Mill. The big gravel lot to the right is usually dotted with cars and motorcycles, sometimes with people just getting out of their vehicles, stretching their legs and visiting the facilities on the far side of the lot. Sometimes there will be children there with handfuls of corn from the converted candy machine, toddling after the ducks and geese that tend to wander up from the river below. Sometimes there’s just the hum of the afternoon and the swish-swish-swish of the waterwheel. Up the stairs and past the “No Wet Feet” sign, you enter the Mill and are greeted with the everpresent churning and grinding of the millstone and machinery. Sometimes one of the folks working back in the rear will pour in whole grains to be busted apart and down by the stones. Or there will be a couple of people asking questions about the Mill’s operation. It always seems to smell good. Shoppers come and go, checking out the calico-clad bags of flour and cornmeal and grains, or sampling some of the dips and jellies thoughtfully shared. There are jams and salsas and cookies and all sorts of mixes and oven mitts and trivets and even fresh baked bread in tiny loaves to snack on, if you’re hankering for something to take with you. And there’s that smell… not just of the grains but of something else, something from the oven, that draws you upward. You climb the stairs to the second floor, where all manners of cookware and quilts awaits. This is where you can find your non-edible souvenirs of the day, the knives and the stones and the honkin’ big cast iron Dutch ovens. And you can look out from a number of windows down on the water and the waterwheel and the bridge below. 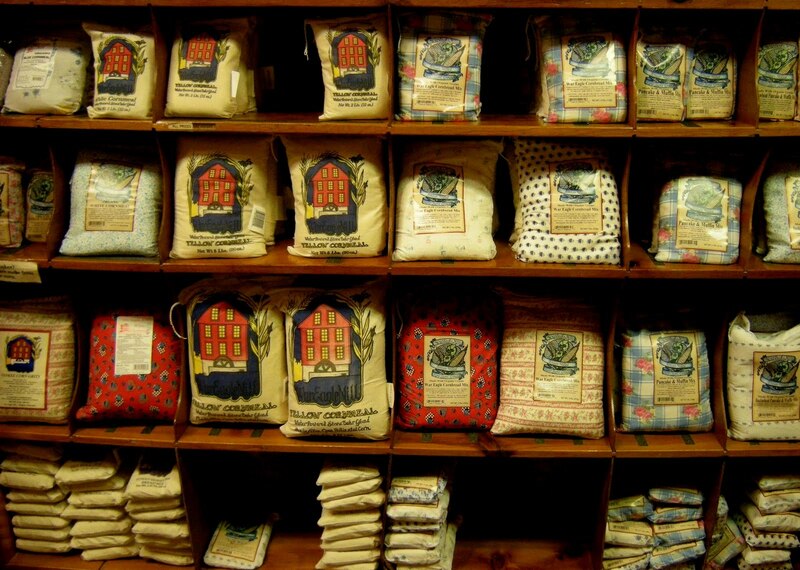 But the scent drives you further upward, and you find yourself in the Bean Palace, the third floor of the Mill, with a hard-to-deny menu of simple things like beans and cornbread or a cornbread sandwich or, heaven help us, cobbler. 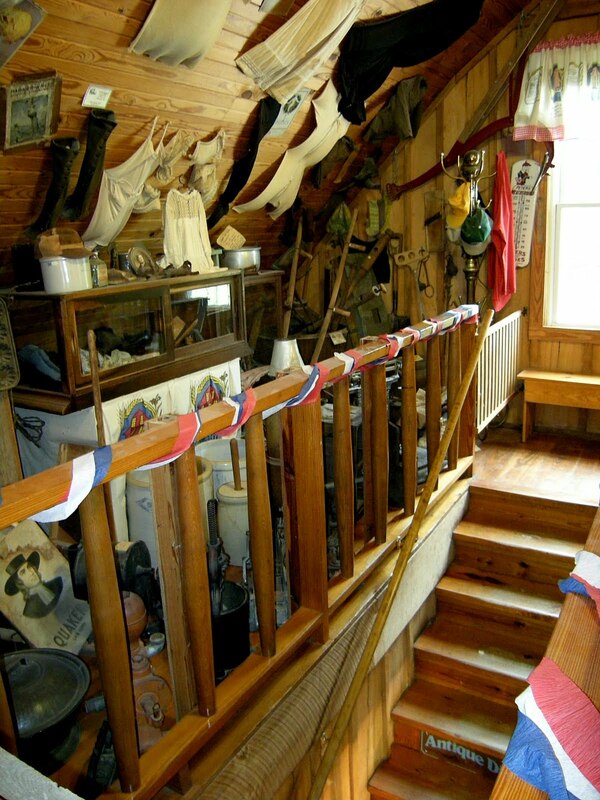 Bits of history are tacked on angled ceilings and walls, bits of a past that’s embraced and treasured by those who work here and those who choose to make the trek, over and over again, to visit Arkansas’ only working grist mill. grandparents’ grandparents ever recalled, this place has been operated by the harnessing of Mother Nature herself, not with coal or steam or lumber burning, but with the power of the War Eagle River. Used to be, all the grain that came to the mill came from these parts. Farmers would bring bags and bushels of corn and wheat from their fields to the Mill to have the grain ground for their bread and sustenance. In those days there were no chemicals like Monsanto and Roundup and such to kill off the bugs and blight. The meal was pure. Today, it still is, though the folks at War Eagle have to go further afar to find it. That surprised me, but once I heard TJ Young’s reasoning behind it, it made a lot of sense to me. Young is the woman in the know at War Eagle. She’s in charge of groups and tours, and answers the questions that come into the website. 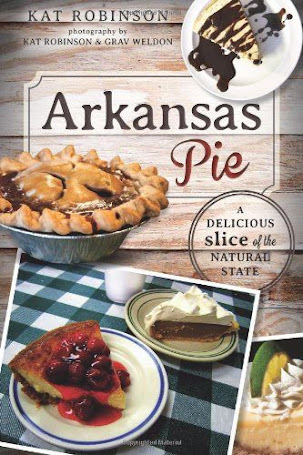 She does say that there are some grains that do come from right here in Arkansas. I mentioned earlier that the Mill’s been around for 170 years. That’s sorta true. It does span that length of time -- at least, the idea and presence of a mill structure on the river. But this is actually the fourth Mill. The first one was built in 1832. Young shares the narratives with groups that tour the Mill. 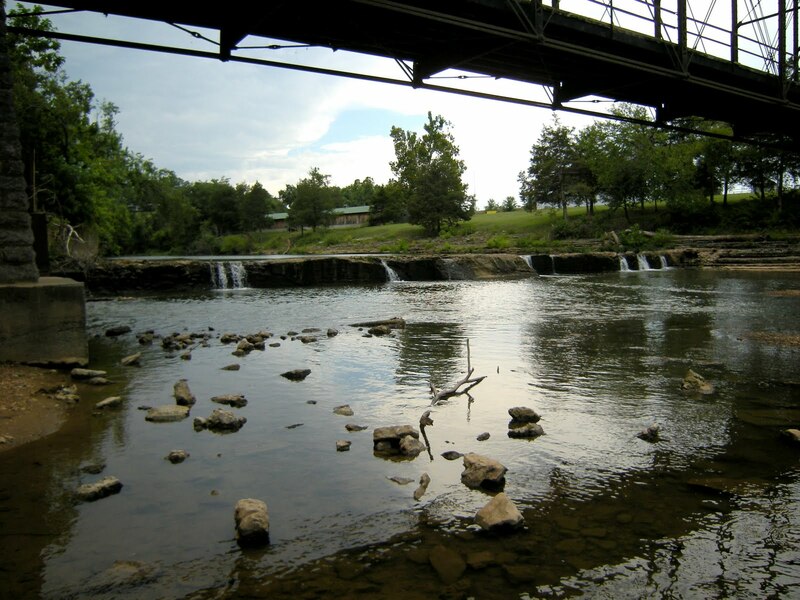 “The first Mill and Dam was built right around 1832-1834 by Sylvanus and Catherine Blackburn. 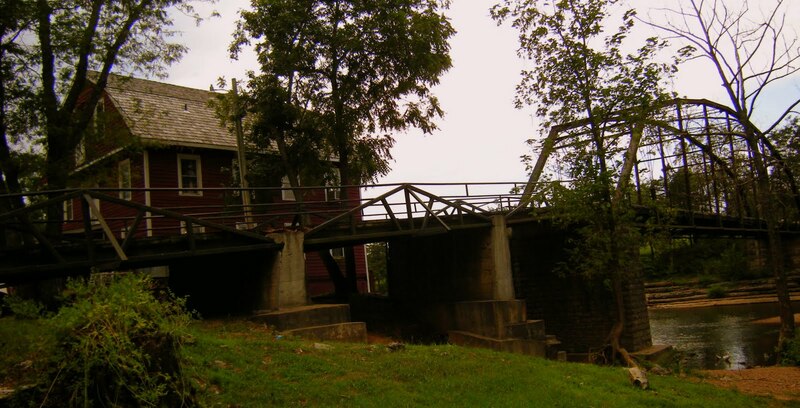 This first Mill and Dam washed away in a flood in 1848 only to be immediately rebuilt by Sylvanus. 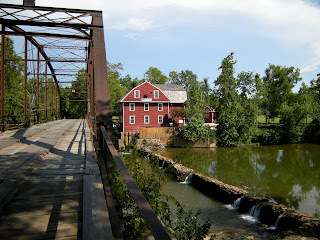 By that time, the Mill had become a gathering place for the War Eagle community which had a sawmill (attached to the War Eagle Mill and stood where the road and on ramp for the bridge are now), blacksmith shop, church and school. 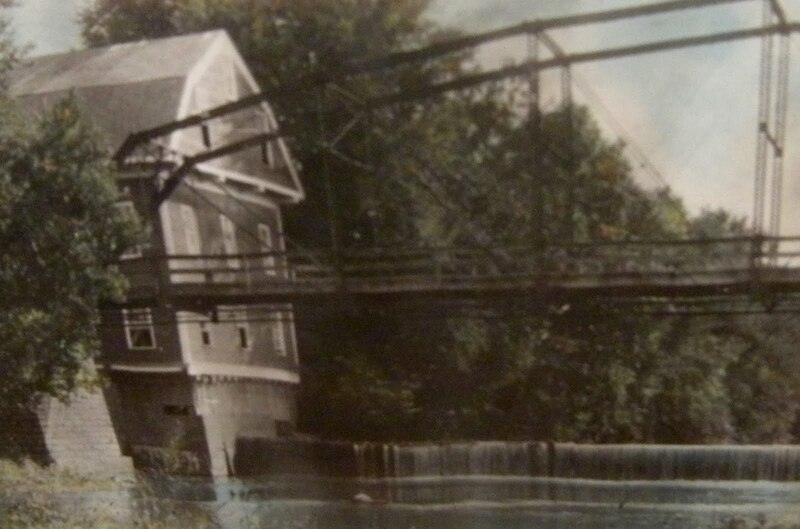 The third Mill burned in 1924. No one knows how it started. But the foundation sat baren for nearly 50 years. Young continues. “A man name Jewell Medlin and his wife purchased a cabin on top of a hill that had the property with the Mill foundation included in the deed. Jewell contacted his daughter, Zoe, and asked if she would be interested in running a grist mill. Through time and trial and research, they successfully re-opened the War Eagle Mill, on the same foundation as the previous three, in 1973, 100 years after the opening of the third Mill. Zoe and the man who would become her husband, Charlie Caywood, ran the mill for 30 years. They sold it in 2004 to Marty and Elise Roenigk of Eureka Springs, the owners of the Crescent and Basin Park Hotels. Today, Elise is the sole owner, Marty having been the victim of a car accident this past June. Constructed in 1973 -- that makes the Mill as old as I am. It’s been in continual operation for 36 years now, and it’s in good shape. The wheel goes whenever it goes… all the time. That’s the nature of running water. 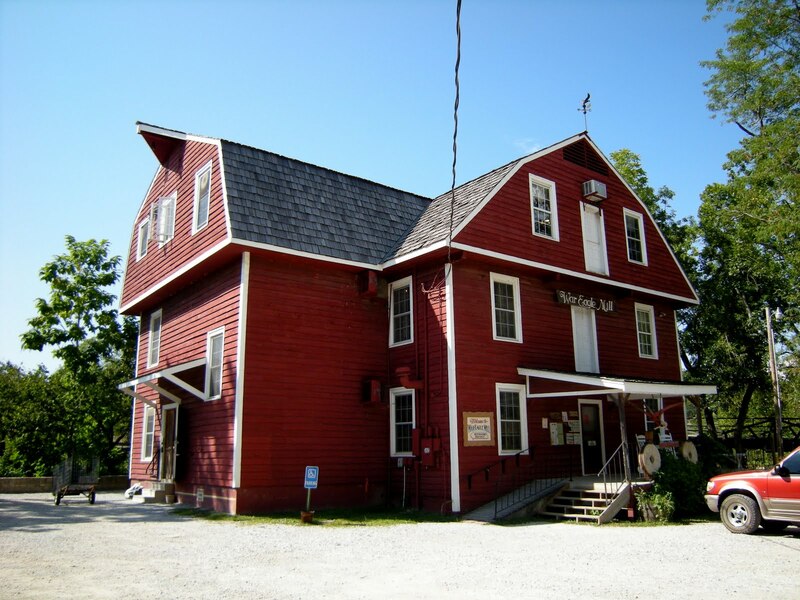 The business of running the mill slows down during the winter months, and it’s open just a few days a week. During the summer and fall, though, it’s open every day. Then there’s the Fair. Or Fairs, actually -- two of them. One in May, one in October, massive things that take over the landscape and bring thousands to the area. We’re not talking anything small here -- we’re talking colossal throngs of people. 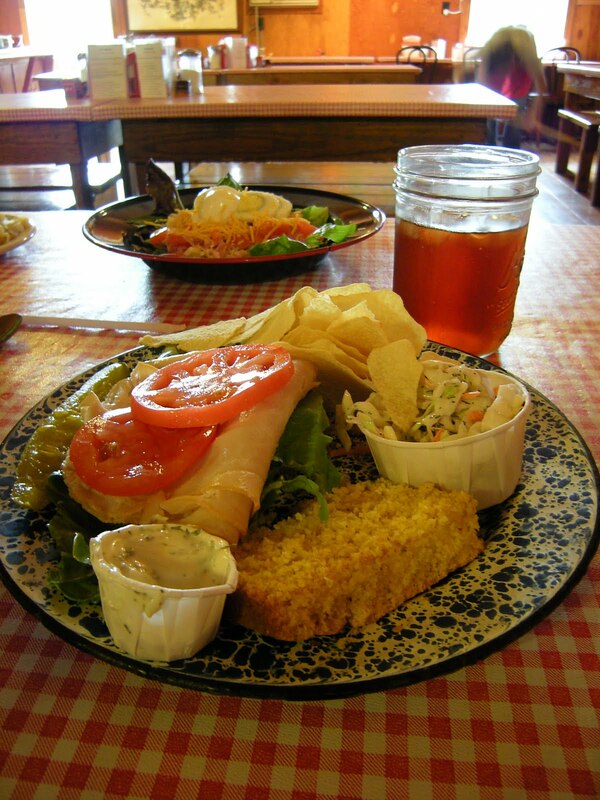 It’s hard to imagine, looking out from the window on the third floor of the Mill, savoring a cornbread sandwich. 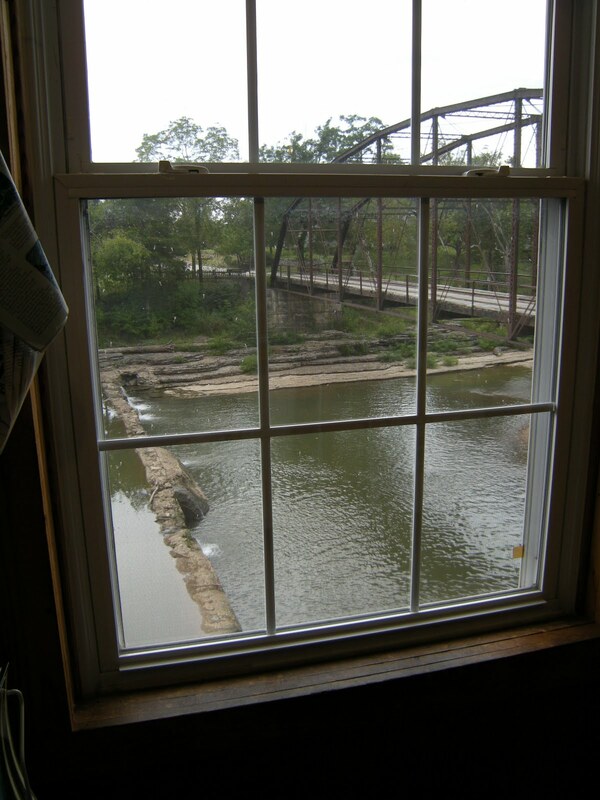 You look out at the pastoral landscape across the bridge and take in the peacefulness of it all. It’s a quiet place. At least, right now it is. I’ve been to the State Fair many times, and I know what sort of numbers that pass through those gates -- roughly 400,000 over ten days. Simple division tells me that War Eagle has to be larger. The fact that it runs concurrent to the State Fair… wow, that’s a lot of people. They come to see and purchase and experience. There are vendors that sell clothing, pottery, broken china jewelry, paintings, prints…. “(There’s) one gentleman named Peter Engler who hand carves Christmas Ornaments. There are many, many more that I cannot name, but between all three Fairs, we have close to 600 plus vendors,” Young tells me. Hence the “next 10 exits” sign on the way in. Ten exits, two lane roads, and a single lane bridge. But I’ve gotten away for the reason I was sent up to the Mill. I was wondering how they fit into this picture, our modern world. 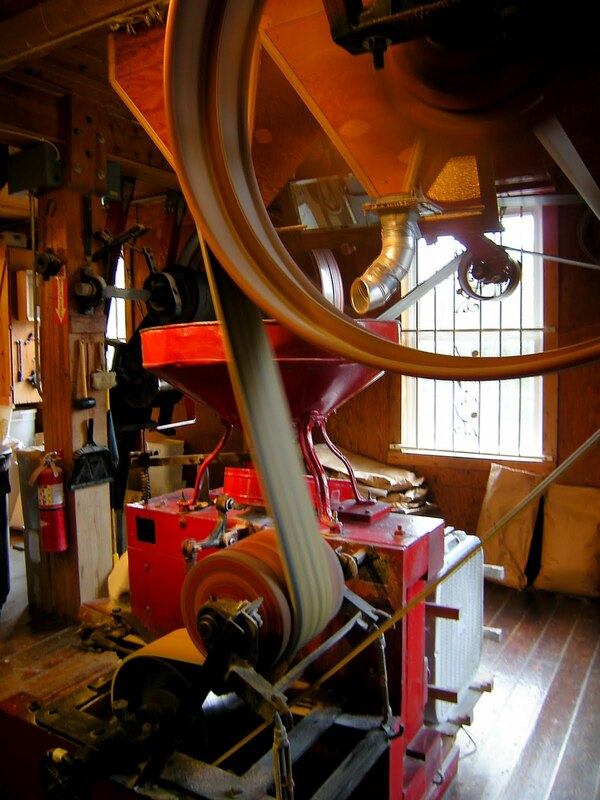 The Mill is organic, sure -- and the waterwheel makes the grinding nature-powered and non-polluting. But how else is the Mill green? Looks red to me, from the outside. Turns out, it’s everywhere. Everything that can be recycled is recycled, from the cardboard boxes that products are shipped in and out with, to the plastic and aluminum used on site. There are no chemicals used in food preparations, no chemicals, everything’s clean. 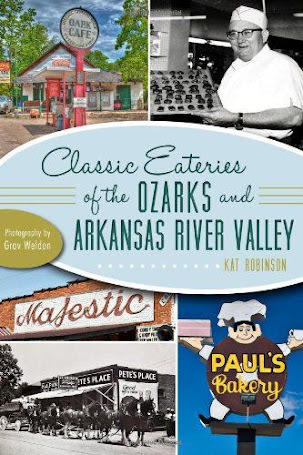 The business purchases just about everything it sells that’s not produced at the Mill from local businesses in Arkansas and within the range of the Ozarks. 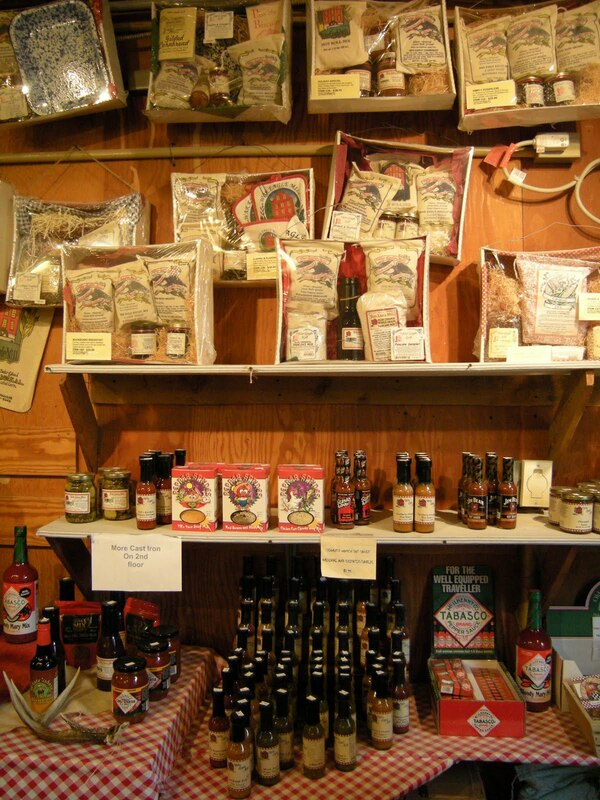 It’s all available at the Mill, and a good amount of it all is available online as well. I’d figure with the remote location that most of the business must come from the web. After all, how do you keep such an operation going when there aren’t but a half-dozen or so cars in the lot on a lazy Wednesday afternoon? Young has an answer for that, too. Considering the time of year, you may be wondering if this is the sort of place you want to choose for your holiday shopping. Perusing the online catalog, it seems most of the gifting baskets run in the neighborhood of $18 to $32. That’s pretty decent. They managed to survive the big ice storm this past winter. While the Mill did go without power for a couple of weeks (the lights are still powered by the electric company), folks in the valley worked together to clear roads of downed trees. 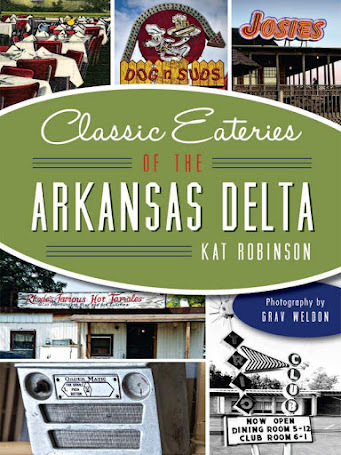 It did mean that the restaurant lost some food because there wasn’t power for the refrigerators, and the ice that paralyzed the area kept away customers. But good neighbors made a big difference. “I do want to tell you that there is not a more hearty group of people than those here at War Eagle,” says Young. “People who could get out of their houses were grabbing their hand saws and chainsaws to help clear roads and driveways down to their neighbors houses and off the roads so emergency personnel could come if needed. From the moment trees started falling, all through the night, and for the next weeks, people all banded together to help. Even with the lost trees, the area is gorgeous now. This fall the leaves will turn and the valley will erupt into a scale of colors from green to red, majestically crowning the river’s edges with flame like foliage. 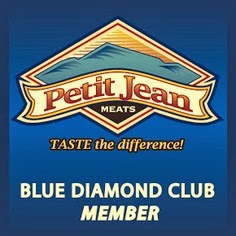 I tend to be a target in the food community around these parts. I suppose that comes with the territory. You put your name out there and it’s attached to something, there’s bound to be someone passionate about it. 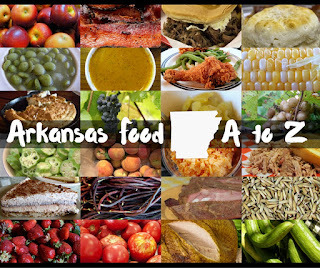 It’s no secret that I review restaurants, and that I appreciate good old fashioned Arkansas fare to haute cuisine. I suppose it was how I was brought up. 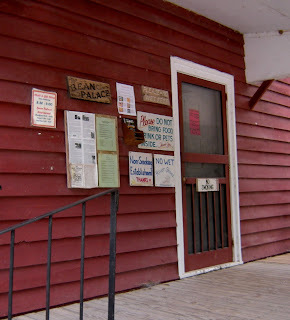 The Bean Palace isn’t just an afterthought; it’s a restaurant all its own, certified USDA Organic. Not many places can make that claim. 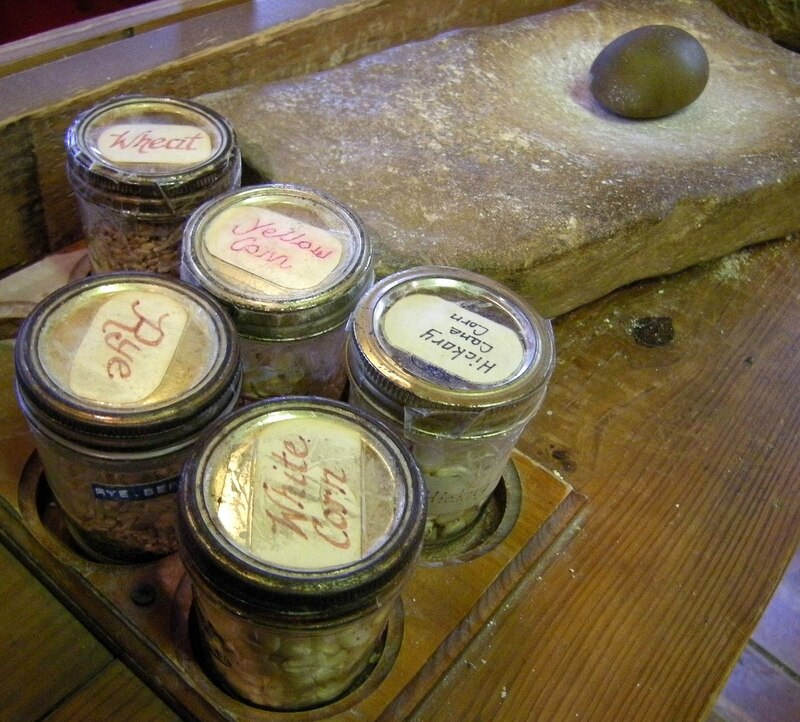 Bread, cornbread and pastry are all made from the grains ground downstairs; beans, smoked meats and fresh vegetables make up much of the rest of the menu. that was okay, it was splendid. I spent one chilly late April afternoon in 2008 up on that top floor, thankfully nursing a bowl of cheese soup and a turkey sandwich on that fabulous white bread. At the time I was early on in my pregnancy, and the folks up there were kind and understanding. I must have sat up there for over an hour, praying away a little dizziness and then consoling myself with some of that seed-rich blackberry cobbler and Yarnell’s Vanilla Bean ice cream. of pillow-thick clouds, dark against the horizon. But here the wind was sweet and the temperature for an August day a lazy 80 degrees. My husband tried out the meat-laden Chef’s Salad while I dithered over a turkey and cornbread sandwich, which held together just long enough for me to get halfway through before needing a fork. We handed the girl chunks of Southern fried potato, which she greedily tried to grab herself. Tea served up in Mason jars and some sugarless apple cobbler for dessert about topped us off. It had taken us close to four hours to make it up here, to capture a bit of the story and to snag lunch on high above the river, but it felt like we were miles further away. The afternoon was passing by around us, yet there was no hurry here. It’d be harder to get further away from the busy lives we lead in the city. But eventually the pull of the city drew us away again. We headed downstairs, picked up staples for our pantries and perused the jams and jellies. I picked up a 10 pound bag of organic whole wheat flour and a big pack of seven grain cereal for the bread I wanted to try out in the bread maker (as much as I wish I had time to hand-kneed, you don’t get to use that time when you have a small child) and white cornmeal for Johnnycakes for the next couple of weeks. We passed off our salutations and headed back on the road, savoring the last of the beautiful scenery and counting off in our minds how long it would be before we made the trek again. 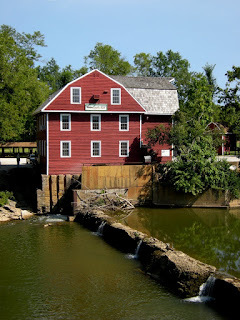 War Eagle Mill is open throughout the year. From March through December it’s open every day from 8:30 a.m. to 5 p.m., with the exception of Thanksgiving, Christmas, and New Year’s. It closes at 2 p.m. Christmas Eve and 3 p.m. New Year’s Eve so its employees can spend time with their families. In January and February it’s open Thursday-Sunday. For more information, log onto the Mill’s website or call (866) 492-7324.